One-time member of the defunct Plantashun Boyz group Blackface is not prepared to move on just yet, as he has just fired a scud missile – a lyrical scud missile – in 2Baba’s direction. 2Baba (formerly 2Face) was a member of the group. That missile is all in a track titled “War (2Face Diss).” That track shot Blackface and 2Baba himself into the trends list in Nigeria. They are still trending. When Plantashun Boyz split, Blackface had claimed he wrote the song “Afrcian Queen” and that 2Baba had stolen it from him. He went on to show screenshots in which 2Baba alleged apologized for using the song without permission. However, 2Baba has insisted publicly that the song is his. Blackface has gone on to make other song theft claims against 2Baba (and some other musicians) in Nigeria. Exasperated, 2Baba had sued him, claiming damages in the sum of N50 million. Well, Blackface apparently still has ammo and full of fight. His diss track “War (2Face Diss)” is just an avenue to addresses his grievances. Some think, however, that it is mere publicity gimmick from an old horse, now forgotten. 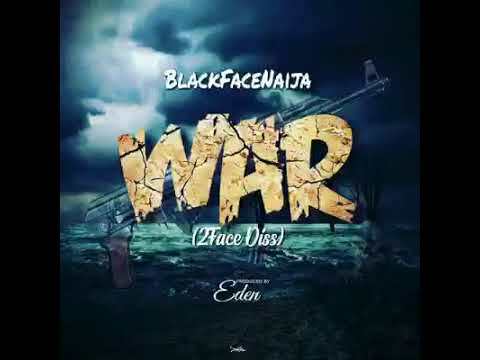 Stream and download “Blackface – War (2Face Diss)” below, share on social medi and join the conversation by dropping your thoughts in the comment section. 2face Diss Song 'War': Wetin Blackface Want?